Road trips can mean a lot of fun and adventure — the journey can be just as much fun as the destination! However, as anyone who’s ever sat in a car for an extended period of time can attest, they can also be cramped, hot, stressful and frustrating. It’s far worse if someone gets sick on the trip. The difference between a great road trip and a nightmare ride lies in planning. 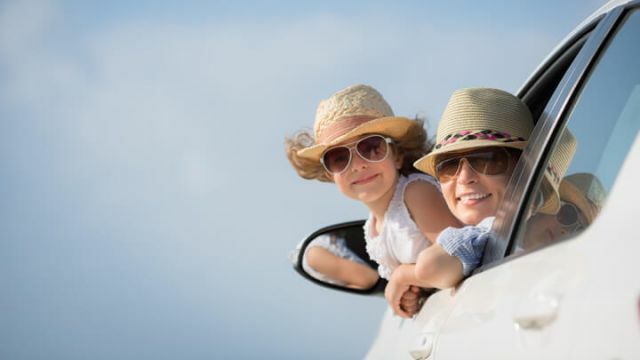 If you plan your trip with health and safety in mind and avoid common car trip pitfalls, you’ll greatly increase your chances of things going smoothly and have healthy, happy passengers for the whole occasion. Zinc is a crucially important mineral for keeping your immune system healthy and strong. If you get ample amounts of zinc in your diet, you’ll be far less likely to catch any bug that comes along. A deficiency in zinc has been linked to decreased immunity, and also to a higher risk of inflammatory illnesses. While it’s important to eat foods containing zinc all year round, it may be especially wise to focus on these foods before a long car trip. That way, getting sneezed on at the gas station will be less of a threat to everyone’s health. If you aren’t eating them already, include lots of zinc-containing foods in your meals several weeks before you go on your trip to make sure your immune system is primed. 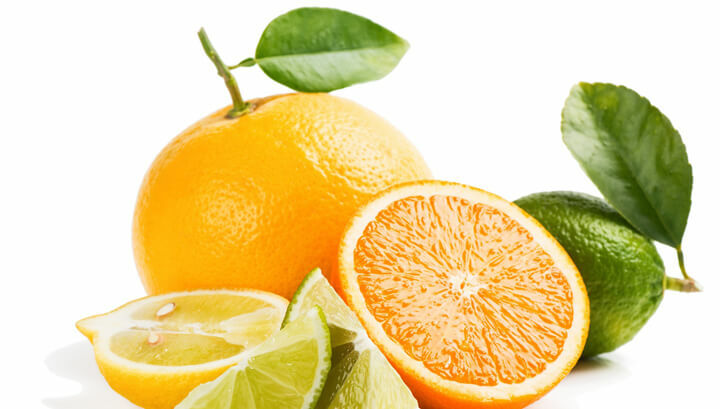 Another very important nutrient for the immune system is vitamin C. One great source of this important vitamin is citrus fruit. Along with adding these to your meals before you go on your trip, they’re great to pack for driving snacks. They’ll not only provide this important vitamin but also give you a blood sugar boost when you’re feeling fatigued. Prep your oranges, tangerines, grapefruits and other citrus favorites by peeling and storing sections in containers. You could also make fresh juice from these fruits, and bring along in a reusable water bottle or thermos. Don’t forget to add lots of ice! If you’re juicing, consider adding some strawberries, kiwi, papaya and guava to the mix — these fruits contain ample vitamin C as well. 3. Water, water and more water! Hydration is vitally important, and especially so on a long trip. You’ll want to make sure to bring plenty of filtered water with you — bring more than you think you’ll need. There’s always the option to stop and fill up your bottles on the way, but you can’t be sure of the quality of the tap water in all locations. Plus, buying bottled water just adds to plastic waste, not to mention the bottles may contain BPA (bisphenol A, a chemical compound linked to estrogen-like hormonal disruption) or other chemicals. So, fill up your own reusable bottles and make sure to sip often! There’s nothing wrong with wanting to look good during your trip, but your number one priority should be comfort. Make sure you (and the kids) are dressed in comfortable, loose-fitting clothing. If you’re taking a trip in warm weather, consider open-toed shoes — feet get really sweaty in socks and sneakers after a while. Not only does dressing comfortably make you feel better en route, it’s also important for reducing your risk of deep vein thrombosis, a condition characterized by blood clots in your limbs. These clots can travel through your bloodstream and cause organ damage or even death if not attended to in time. Sometimes, there are no symptoms, which makes it even scarier. One way that these blood clots form is when you sit in the same position for long periods of time, and wearing tight clothing only aggravates the situation. Speaking of sitting for long periods of time, you’ll need to get out of the car, stretch and go for a walk now and then. If you neglect to get out and stretch your legs, you could be putting yourself at risk for deep vein thrombosis, no matter how loose-fitting and comfortable your clothing is. “It’s a very serious condition that can simply be avoided by getting up and moving around… Symptoms include pain and tenderness, swelling, redness and increased warmth in one leg.” However, sometimes there are no symptoms at all, so prevention is key. If possible, pull over near a park, or at least a rest area that has some room to walk. Walk for at least five minutes — longer if possible — and make sure you stretch your legs. Even walking on a grassy strip near a gas station is better than nothing. If you’re pressed for time near the end of your trip, at least get out and stretch before getting back into the car, paying special attention to your legs and feet. Even if you get up and walk around every two hours, those couple hours of sitting can be hard on your spine. Bringing a few pillows along for the ride is a good idea. There are many travel pillows available to support your back and neck so that they do not get so tense and strained. If kids want to nap in the backseat, a few blankets wouldn’t hurt either. Just make sure everyone is safely strapped in with their seatbelts. 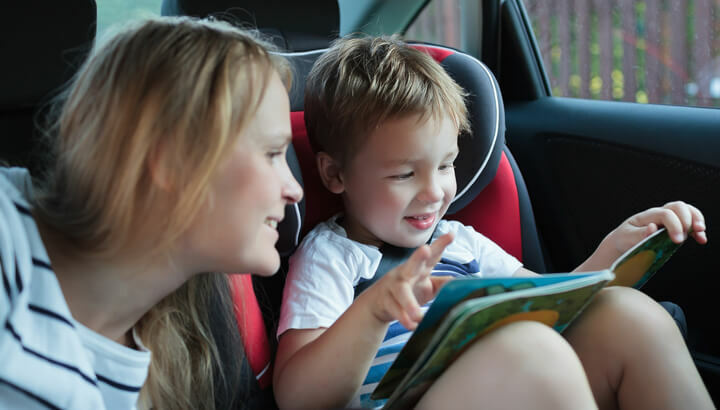 Car rides can be tedious, and the tedium can often lead to stress, especially if kids become restless and fidgety. Of course, adults can become restless and fidgety too, so when you pack, make sure there’s something for everyone to do along the way. Stress is a huge health hazard. You know your family: some people are content snoozing and looking out the window, but others need books, games and puzzles, so pack accordingly. For young children, make sure there are a variety of activities that they can cycle through. One tip is to keep different games, toys and books in a bag, and only hand them one at a time. When they are bored with one, you can surprise them with another. Unless it distracts the driver, music is a must-have for many road trips. You could decide on tunes that the whole family enjoys, or let everyone in the car take their turn with an album or collection of songs. Singing along to your favorites is a sure-fire way to pass the time merrily. Just make sure the driver isn’t aggravated! When on the road, you may be tempted to disinfect you and your family’s hands with hand sanitizer. However, this stuff isn’t very good for you and can contribute to antibiotic resistance. You’ll still want to make sure everyone’s hands are clean between washings, of course, but this can be accomplished with a spritz of witch hazel from a travel-sized spray bottle. A natural, effective alternative! In 2015, the Centers for Disease Control and Prevention (CDC) released the results of a health survey of long-haul truck drivers. Among the results were the frightening statistics that 69 percent of study participants observed were obese and 17 percent were morbidly obese. While there are many factors contributing to these statistics, such as continuous sedentary time, one big factor is likely the intake of fast food. When on the road, it is very tempting to stop for burgers and fries and other such fast foods for a quick lunch or dinner. However, doing so is damaging to you and your family’s health. To enjoy a healthy car ride, pack healthy breakfasts, lunches, dinners and snacks in a cooler. Take a day before your trip to cook everything from real foods in advance. Try to include lots of foods with zinc and vitamin C, as mentioned above. Lots of protein, healthy fats and natural carbs from gluten-free grains, fruits and veggies are also essential. In an effort to get to a destination as quickly as possible, some people like to keep driving even though they’re exhausted, pushing through the fatigue and struggling to stay awake. However, this can be very dangerous, and research has shown that drivers may misjudge how alert they are after an extended period of driving. To ensure the safety of everyone on board, stop driving when you are tired. Switch with someone else in the car and rest, if possible. Make sure you stop for the night if it’s a multiple-day trip; all-nighters are risky even if you’re switching drivers, as both may become fatigued. Even if it’s during the day, be sure to stop if you feel yourself getting too tired. To keep everyone cool and calm during your road trip, utilize the power of essential oils. One great way to do this is by investing in a car diffuser. 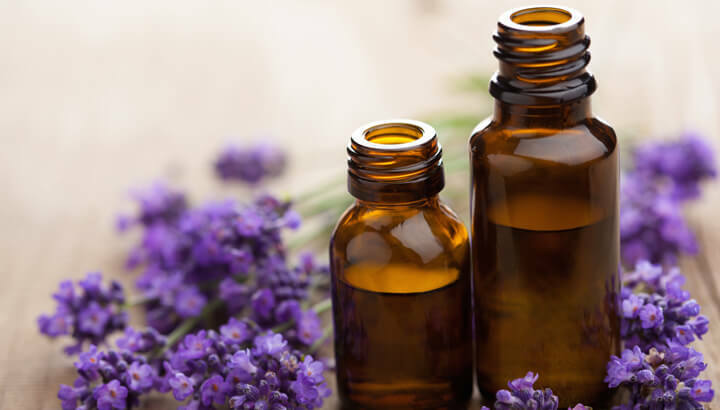 Adding a few drops of calming lavender is a great way to keep your family’s stress level down. To keep the car cool and fresh, try a few drops of peppermint. Did I miss anything? What other road trip health secrets do you and your family use? Hey Buddy!, I found this information for you: "Going On A Long Car Ride? 11 Tips To Stay Healthy". Here is the website link: https://www.thealternativedaily.com/health-tips-for-a-long-car-trip/. Thank you.